The situation is pressing. Turkey, having always expressed an ambivalent position on how to deal with the threat of Islamic State, has gone on the offensive against their mortal enemy, the Kurds. This is problematic, not least because the Kurds have also provided considerable fight in the battle against the Islamic State and its assortment of forces. The US-led coalition created to fight IS has attempted, with varying degrees of success, to assist the Kurdish YPG militia in northern Syria by way of airstrikes. Much of this is symbolic push rather than tangible gain, but the Kurds have taken it in their stride to make gains. But while this particular action was taking place, Ankara’s view towards its own Kurdish minority is one of wariness, ever watchful about the actions of the PKK. The creation of a Kurdish state is the last thing on the policy making books, especially if it is to be created along Syria’s northern border with Turkey. The successes of the YPG have been striking. In recent months, they have managed to force Islamic State fighters from 2,000 square miles of territory in northern Syria. Administrative autonomy has been established in the three Kurdish cantons, something aided by the YPG victory at Tal Abyad last summer. 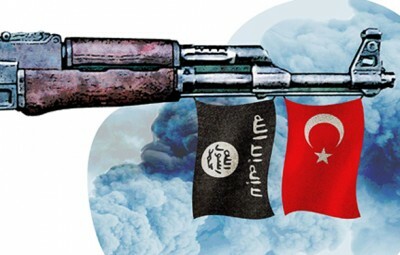 Even as this is happening, Ankara has gotten busy bombing PKK positions in northern Iraq. This is the artificial difference between the ideological Kurd and the pragmatic one; the Kurd that will do business with Ankara; and one willing to fight it. Effectively, Ankara finds itself at war with several groups, with a promise that it will also target the YPG if it gets too zealous and stroppy in victory. On July 23, Turkish forces, after breathing heavily on the border, finally joined the battle against the Islamic State with air and artillery strikes in Syria. Simultaneous access to the United States was also granted at the Incirlik and Diyarbakir airbases. Turkey is now in the process of establishing a safe border zone in the northwest of Syria which will act as a buffer against Kurdish nationalist aspirations, though whether this receives full approval from the United States is still not clear. (The messages at this point suggest the affirmative.) Certainly, the message from Turkish officials is that Washington ought to abide by it, ostensible to protect other ethnicities that would, it is argued, suffer under a Kurdish dominated administration. “That’s the red line,” claimed a Turkish official in the Wall Street Journal. 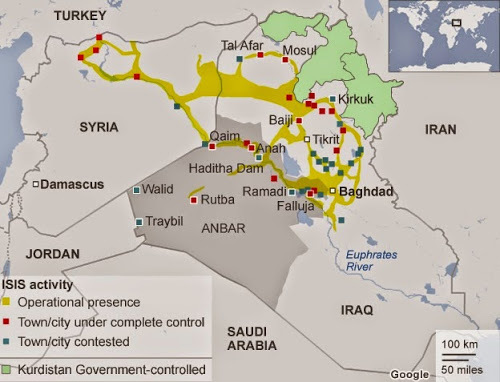 “There are almost no Kurds in the area that would be the ISIL-free zone. Forcing the issue would trigger a new wave of ethnic cleansing, which is unacceptable to us.” When Turkish officials refer to the book of ethnic cleansing, history is truly out of joint. Domestically, the police state is abuzz with arrests of ISIS sympathisers and suspected PKK members. The Erdogan government has managed to steal US support to effectively right its own domestic ills, notably the electoral advances made by the Kurdish People’s Democratic Party. Having failed to secure the mandate that would have given him near despotic powers, Erdogan has had to find other schemes to trample on democratic sentiment. The interventions by Ankara, now cloaked by Washington’s backing, are richly cynical in calculation. The targeting of ISIS positions is being undertaken in a way that may weaken the body without actually benefiting the Kurds. In joining the broader fight, the goal here is to keep the lid on the Syrian Rojava canton, stomping on any prospects that a sovereign Kurdish state might develop.